Brett, Caroline (1991). 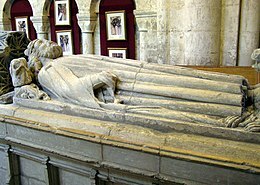 "A Breton pilgrim in England in the reign of King Æthelstan". In Jondorf, Gillian; Dumville, D.N. (eds.). France and the British Isles in the Middle Ages and Renaissance. The Boydell Press. ISBN 0-85115-487-5. Davies, John Reuben (2013). "Wales and West Britain". In Stafford, Pauline (ed.). A Companion to the Early Middle Ages: Britain and Ireland c. 500–c. 1100. Wiley-Blackwell. ISBN 978-1-118-42513-8. Foot, Sarah (2007). "Where English Becomes British: Rethinking Contexts for Brunanburh". In Barrow, Julia; Wareham, Andrew (eds.). 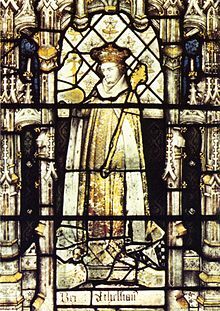 Myth, Rulership, Church and Charters. Ashgate. pp. 127–144. ISBN 978-0-7546-5120-8. Insley, Charles (2013). "Southumbria". In Stafford, Pauline (ed.). A Companion to the Early Middle Ages: Britain and Ireland c. 500-c. 1100. Wiley-Blackwell. ISBN 978-1-118-42513-8. John, Eric (1982). "The Age of Edgar". In Campbell, James (ed.). The Anglo-Saxons. Penguin Books. ISBN 0-14-014395-5. Keynes, Simon (1990). "Royal government and the written word in late Anglo-Saxon England". In McKitterick, Rosamund (ed.). The Uses of Literacy in Early Medieval Europe. Cambridge University Press. ISBN 0-521-34409-3. Keynes, Simon (1999). 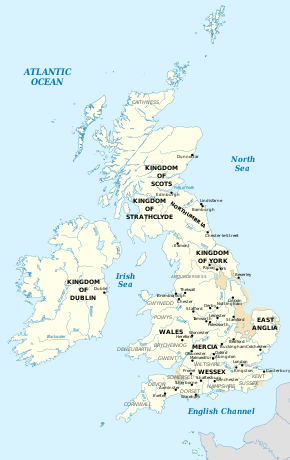 "England, c. 900–1016". In Reuter, Timothy (ed.). The New Cambridge Medieval History. III. Cambridge University Press. pp. 456–484. ISBN 0-521-36447-7. Keynes, Simon (2008). "Edgar rex admirabilis". In Scragg, Donald (ed.). Edgar King of the English: New Interpretations. The Boydell Press. ISBN 978-1-84383-399-4. Livingston, Michael (2011). "The Roads to Brunanburh". In Livingston, Michael (ed.). The Battle of Brunanburh: A Casebook. University of Exeter Press. pp. 1–26. ISBN 978-0-85989-862-1. Maclean, Simon (2013). "Britain, Ireland and Europe, c. 900–c. 1100". In Stafford, Pauline (ed.). A Companion to the Early Middle Ages: Britain and Ireland c. 500-c. 1100. Wiley-Blackwell. ISBN 978-1-118-42513-8. Nelson, Janet L. (1999). "Rulers and government". In Reuter, Timothy (ed.). The New Cambridge Medieval History: Volume III c. 900–c. 1024. Cambridge University Press. ISBN 0-521-36447-7. Ortenberg, Veronica (2010). "'The King from Overseas: Why did Æthelstan Matter in Tenth-Century Continental Affairs?". In Rollason, David; Leyser, Conrad; Williams, Hannah (eds.). England and the Continent in the Tenth Century: Studies in Honour of Wilhelm Levison (1876–1947). Brepols. ISBN 978-2-503-53208-0. Pratt, David (2010). "Written Law and the Communication of Authority in Tenth-Century England". In Rollason, David; Leyser, Conrad; Williams, Hannah (eds.). England and the Continent in the Tenth Century: Studies in Honour of Wilhelm Levison (1876–1947). Brepols. ISBN 978-2-503-53208-0. Ryan, Martin J. (2013). "Conquest, Reform and the Making of England". In Higham, Nicholas J.; Ryan, Martin J. (eds.). The Anglo-Saxon World. Yale University Press. ISBN 978-0-300-12534-4. Williams, Ann (1991). "Ælfflæd queen d. after 920". In Williams, Ann; Smyth, Alfred P.; Kirby, D. P. (eds.). A Biographical Dictionary of Dark Age Britain. Seaby. ISBN 1-85264-047-2. Wood, Michael (1983). "The Making of King Aethelstan's Empire: An English Charlemagne?". In Wormald, Patrick; Bullough, Donald; Collins, Roger (eds.). Ideal and Reality in Frankish and Anglo-Saxon Society. Basil Blackwell. pp. 250–272. ISBN 0-631-12661-9. Wood, Michael (2007). "'Stand strong against the monsters': kingship and learning in the empire of king Æthelstan". In Wormald, Patrick; Nelson, Janet (eds.). Lay Intellectuals in the Carolingian World. Cambridge University Press. ISBN 978-0-521-83453-7. Wood, Michael (2010). 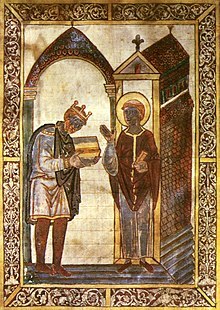 "A Carolingian Scholar in the Court of King Æthelstan". In Rollason, David; Leyser, Conrad; Williams, Hannah (eds.). England and the Continent in the Tenth Century: Studies in Honour of Wilhelm Levison (1876–1947). Brepols. ISBN 978-2-503-53208-0. Woolf, Alex (2013). "Scotland". In Stafford, Pauline (ed.). A Companion to the Early Middle Ages: Britain and Ireland c. 500-c. 1100. Wiley-Blackwell. ISBN 978-1-118-42513-8. Zacher, Samantha (2011). "Multilingualism at the Court of King Æthelstan: Latin Praise Poetry and The Battle of Brunanburh". In Tyler, Elizabeth M. (ed.). Conceptualizing Multilingualism in England, c. 800-C. 1250. Brepols. ISBN 978-2-503-52856-4.